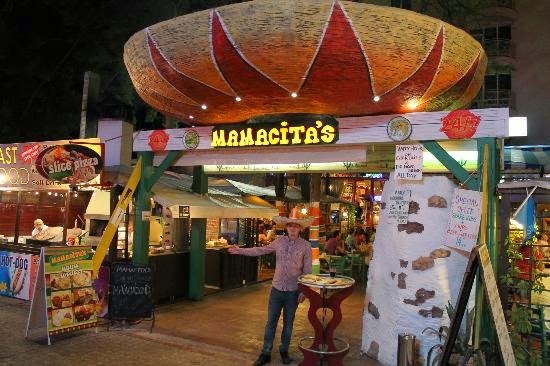 Mamacitas is the one and only authentic Mexican restaurant in Sunny Beach with many considering the restaurant a “not to be missed” during any stay in Sunny Beach, and we agree! Renowned for its pleasant atmosphere and excellent live entertainment, Mamacitas offers a wide choice of the best Mexican recipes including Envisage nachos, enchiladas, quesadillas, fajitas, taco de pollo and chilli con carne. Mamacitas is located at the heart of Flower Street, next to the hotel Kuban and McDonalds. Situated on the promenade itself, left of the central beach entrance, is the equisite La Bamba Restaurant and Beach bar offering amazing views of the Sea, casual elegance, soft colours and an intimate ambience. Here you will find delicious cocktails and fine global cuisine cooked to perfection with an Argentinean touch. 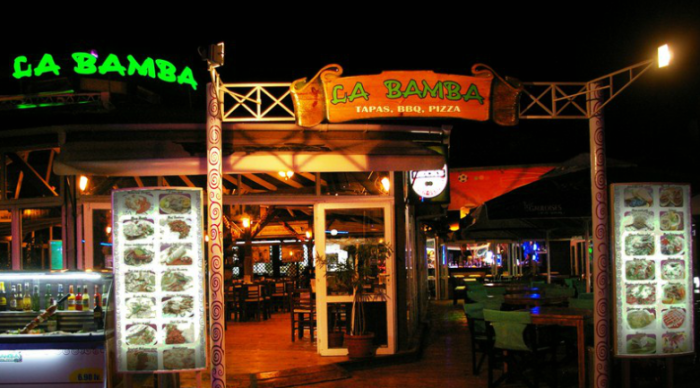 Diners can choose from a mouth-watering selection of seafood and South American specialities, all made from the finest quality ingredients as well as the famous Argentinean BBQ which is the number one reason why the La Bamba Restaurant and Beach bar is one of our firm favourites. Situated in Flower Street just a short distance from the hotel Kuban, Djanny’s is a favourite amongst both locals and Sunny Beach visitors alike looking to dine out on a budget. With a huge summer garden and finger licking good steaks, kebabs, barbeque specialties, huge salads and a assorted menu, it will no doubt become one of your favourite restaurants in Sunny Beach. When it comes to traditionally cooked Bulgarian cuisine, there are very few places that can match the menu found at the Forest Hut in Sunny Beach. Serving Bulgarian dishes cooked with only the freshest ingredients, the Forest Hut’s friendly staff will take your dining experience to another level with their fast, efficient service with a smile. 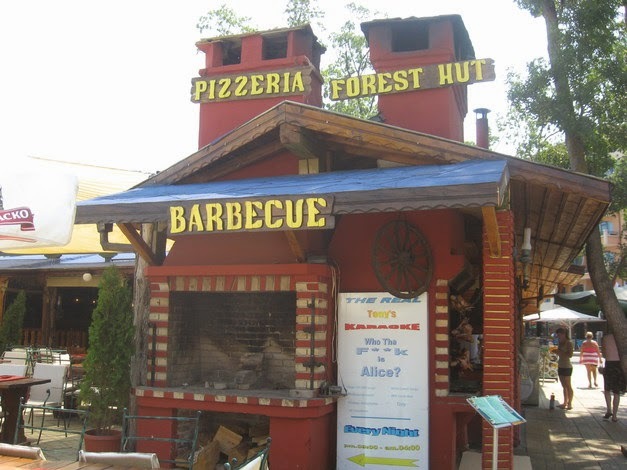 Offering great value for money, Forest Hut is one restaurant you don’t want to miss on your next holiday to Sunny Beach! Nestled right on the beach, there really is no better way to watch the sun go down in Sunny Beach than by enjoying beautifully cooked Italian dishes, served with a quality glass of wine, on the restaurant’s sea facing terrace. With a comprehensive choice of Pizzas, Pastas and Seafood, the romantic setting of Stella de Mare coupled with its excellent service is a superb choice for any couples and families looking for a special night out together in resort.